Golf - 10. September 2018. 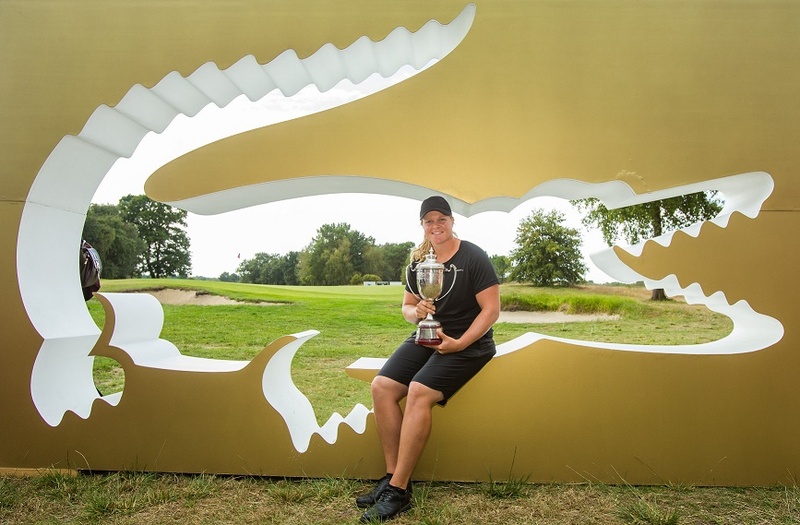 Sweden’s Caroline Hedwall secured her first Ladies European Tour title in six years with a record-breaking performance on the final day of the Lacoste Ladies Open de France. Hedwall came from seven strokes behind the overnight leader Nanna Koerstz Madsen and set the clubhouse lead at 12-under with an incredible course record nine-under-par 62, reeling the Dane in with nine birdies at Golf du Medoc. Madsen was tied for the lead after 14 holes but dropped shots at the 15th, 17th and 18th. She ended in joint third with Spain’s Luna Sobron, Australian Sarah Kemp and Lynn Carlsson of Sweden. South African Stacy Lee Bregman stormed into outright second with a sensational 66. Hedwall’s round was the lowest of the season and it was her sixth Ladies European Tour title. The 29-year-old from Stockholm won four titles in her rookie year in 2011 and added another at the 2012 Austrian Open. Her sixth LET title, worth 41,250 euros and a place in next week’s Evian Championship, will give her a huge confidence boost heading into a Major. Her next goal is to make a fourth appearance for Europe in next year’s Solheim Cup at Gleneagles. She played in 2011, 2013 and 2015 and was a major factor in Europe’s victories in Ireland and Colorado, where she won all five of her matches. “That’s my goal for next year, making it onto the European team again,” she said. “I missed out last time, but in the end, you have to be really confident about your game to play in a Solheim. If you’re not mentally prepared for it, then there’s no point going, because you’re not going to perform. You have to enjoy the pressure. Further down the leader board, Indian Aditi Ashok also finished strongly. A final round 66 lifted her into a share of seventh with Christine Wolf, Xi Yu Lin and two-time winner Azahara Munoz, while another former champion, Celine Herbin, tied for 11th place.